Entry into an enclosed space that is not in normal daily use, great care should be taken to create and maintain safe working conditions, even if the duration of the work is to be short. Many fatalities in enclosed spaces have resulted from entering such spaces without proper supervision or adherence to agreed procedures. In almost every case the fatality would have been avoided if the simple guidance in this section had been followed. The rapid rescue of personnel who have collapsed in an enclosed space presents particular risk. It is a human reaction to go to the aid of a colleague in difficulties, but far too many additional deaths have occurred from impulsive or ill-prepared rescue attempts. The normal oxygen level in fresh air is 21% by volume . Uncontaminated air with a slightly lower oxygen concentration can be breathed for some minutes before the effects become apparent. If the oxygen supply to the brain is depleted, victims will feel dizzy and have headaches before losing consciousness. This is particularly dangerous because they may not recognise that they are in danger or be capable of finding the way out of the space. They therefore become a risk to themselves and others. There is a danger of permanent brain damage after only four minutes in a very oxygen-deficient space. A successful rescue depends upon the victim being resuscitated in the shortest possible time. When an enclosed space is left closed and unventilated for any length of time, the internal atmosphere may become unsafe to human life, either because it contains insufficient oxygen, or because it contains contaminants, or both. The oxygen content can be reduced naturally by the process of rusting or other oxidising, which absorbs oxygen from the air, or by the presence of inert gas. Contamination can come from sources such as stores. Decomposition of animal and vegetable oils and fats, a process known as putrefaction (or going off), can seriously deplete the oxygen content and evolve toxic gases, making proper ventilation of the space necessary prior to entry. However, it is possible that an oxygen deficiency is due to the air in the space being mixed with a contaminant such as cargo vapour. Cargo vapour or inert gas should always be anticipated in cargo tanks, and leakage into adjacent enclosed spaces separated from cargo tanks by a single gas-tight bulkhead should be suspected. Similarly, cargo vapour or inert gas should be suspected in any space containing cargo handling or inert gas equipment. It is therefore vital that nobody ever enters an enclosed space without breathing apparatus until it has been confirmed that the atmosphere is safe and will remain so. As a general rule, enclosed spaces should not be entered unless it is absolutely necessary. Suitable notices should be prominently displayed to warn and inform personnel about the dangers of entering enclosed spaces. Instructions should clearly explain the precautions to be taken when entering tanks or other enclosed spaces, and listing any restrictions placed upon the permitted work. Company procedures should be such that the instructions are followed. On some ships, there is no door or hatch restricting passage from a pump-room into a duct keel. In these circumstances, the duct keel can be regarded as being ventilated by the pump-room extractor fans. Nevertheless, entry of personnel into the duct keel should be subject to a strict safety procedure involving prior notification to a responsible person. Prior to allowing personnel to enter an enclosed space, an entry permit should be issued. It is recommended that it should be signed by the master or a responsible officer expressly delegated by him. The entry permit should contain a clear indication as to its maximum period of validity (which should not exceed a normal working day), and the maximum time the space can be left unattended (which should not exceed four hours). It is critical to ensure that while personnel are within a space the levels of oxygen and any contaminants are frequently checked, and are within safe limits. If there is any doubt, suitable breathing apparatus and personal protective equipment should be worn, including a lifeline if practicable. • The space has been thoroughly ventilated by natural or mechanical means to remove any toxic or flammable gases, and to-ensure an adequate level of oxygen throughout the space. • All personnel entering the space are properly trained in enclosed space entry procedures, and are familiar with safety and emergency procedures; they should be aware of the ship's procedure for issuing an enclosed space entry permit. • A trained crew member is standing by at the entrance. • A reliable system of communication has been established and is understood both by those entering the space and by the crew member standing by at the entrance. • The appropriate officer of the watch on the bridge or in the cargo control room or in the engine room is aware of the enclosed-space entry operations. • Rescue procedures are in place. • Rescue equipment (including lifelines and harnesses) and breathing apparatus are readily available, and resuscitation equipment is prepared. The rescue procedures should clearly set out how to raise the alarm and summon assistance. Access to the space concerned, deployment of reserve equipment and communication between the emergency party and command centre should also be arranged. In the event of emergency, under no circumstances should an attending crew member enter the space before help has arrived and the situation has been evaluated, to ensure the safety of those carrying out rescue operations. How to test the environment prior entry ? • The oxygen content should be sampled with a suitable and reliable detector: 21% oxygen is required for entry. The principle of measuring the oxygen level in an enclosed space, and interpretation of the figure obtained, must be thoroughly understood. The content of the world's air is constant at 21% life-sustaining oxygen, and 79% other gases which are breathable but do not themselves sustain life. Therefore, confirming that the oxygen level in a compartment is 21% ensures that there is no major component of the atmosphere that is not air. Nevertheless, this may not exclude trace volumes of toxic vapours. • If a flammable cargo vapour may be present, a combustible gas indicator should also be used. A content as low as practicable, but never more than 1% LFL, is required for entry. • If a toxic gas may be present, the correct toxic gas detector should be used to check that the level is below the safe operational exposure limit, depending on the nature of the previous contents of the space. Ventilation should be stopped about 10 minutes before tests are made and not restarted until the tests are completed. Sampling the atmosphere may require the use of breathing apparatus. A number of samples from different locations may have to be taken before the air in the whole space can be judged safe. Readings should be taken at several levels - top, middle and bottom. Suspected vapours which have a relative vapour density greater than that of air will be found at the bottom of any space, and those that have a relative vapour density less than that of air will be found at the top of a space. Vapour will also tend to remain where the ventilating airflow is least effective. Sampling and measurement should be done by personnel trained in use of the equipment, and sufficiently knowledgeable to understand the results obtained. It is vital that the correct instruments are used. A combustible gas indicator will not measure an oxygen deficiency, nor indicate the presence of toxic gas or the presence of flammable vapour in inert gas. All atmosphere testing equipment used should be of an approved type. It must be correctly maintained, prepared for use in accordance with the manufacturer's guidance, and regularly check-tested against standard samples. Even after a space has been made gas free and found to contain a respirable atmosphere, local pockets of gas should always be suspected. Cargo residues may be trapped in tank coatings or in residual scale. Generation of vapour should always be considered possible, even after loose scale has been removed. Hence a person moving around to different areas of a tank or compartment, or descending to the lower part after work in the upper part, should remain alert to the possible need for further tests to be made. Unless all necessary safety precautions can be followed, spaces should only be entered by personnel wearing breathing apparatus, appropriate protection against exposure to flammable, toxic or corrosive cargo vapours and, if practicable, a lifeline. 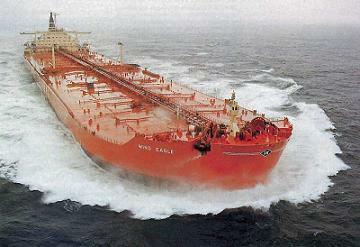 In chemical tankers, operational entry into cargo tanks may be required before the atmosphere is certified as safe. A documented system should exist to ensure safety throughout any operation when entry of a contaminated cargo tank, or one suspected of being contaminated, is necessary.